If you think your brand produces a lot of live experiences, you might not be familiar with Kendra Scott. The fashion retailer places in-store events at the heart of its marketing strategy, hosting 10-15 events per month at each of its 94 locations. To say the brand has mastered the ability to execute retail experiences at scale is an understatement, and that became clear to attendees at a Kendra Scott breakfast event held at its New York City location in January featuring a group of top retailers in town for the National Retail Federation Conference. 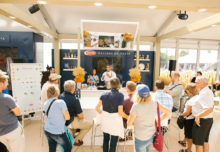 Following are three tips on building successful in-store events, inspired by Kendra Scott’s robust retail strategy. 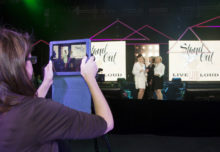 According to Amy Young, director of retail marketing at Kendra Scott, the brand’s events are seen as a “data acquisition tool” and a means of deepening customer engagement thanks to data that shows which customers attend which kinds of events and what causes they care about, thereby allowing the brand to personalize its messaging to those individuals going forward. Leveraging software (Splash, New York City, handles) the brand is able to track those data points in addition to deploying events at multiple locations simultaneously, each featuring the same touchpoints, data-capture tools and resources across the board, all of which are managed by a local event manager, rather than a regional manager. All of that automation adds up to next-level consistency in terms of the brand’s messaging and experiences—without the additional cost. 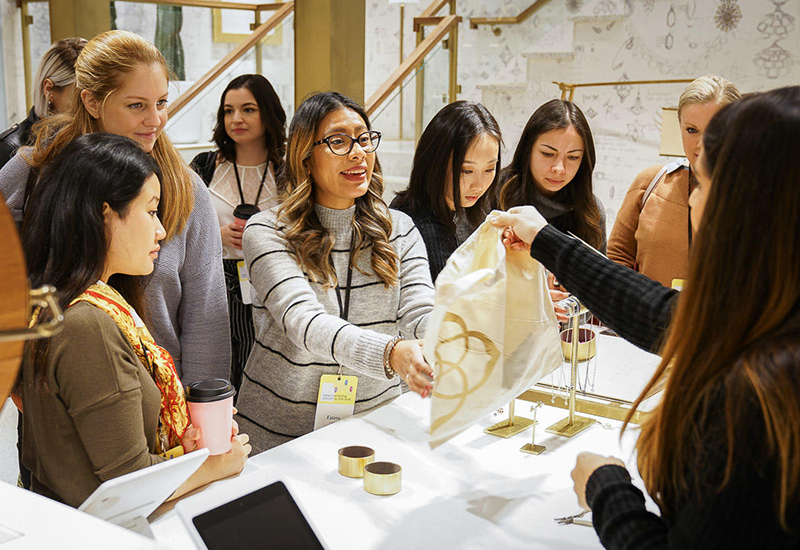 To give retailers at the New York event a taste of what its myriad in-store consumer experiences entail, Kendra Scott offered attendees a chance to personalize a piece of jewelry at the Color Bar. The hands-on customization station is found at all Kendra Scott locations where customers can design their own bracelets, necklaces, earrings and rings, including choosing the metals and stones, then have a store associate piece it together for them. Kendra Scott’s philanthropic efforts reach far and wide thanks to a Kendra Gives Back initiative that allows local community leaders to host their own events at Kendra Scott stores, with 20 percent of the proceeds going directly to the featured charity.